In a family of three brothers, Wyatt is right in the middle. He’s a naturally energetic kid who loves playing with his brothers, so when he put himself down for his nap one day, his mom, Whitney, thought it was a little strange. 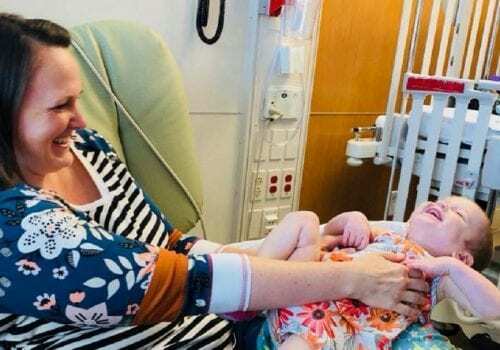 Doctors assured her it was a simple virus that would clear up on its own, but when a few weeks went by of Wyatt being too tired to play like he usually does, Whitney took him in for an x-ray. What it revealed was foreboding. Soon after, Wyatt had an MRI. Whitney could tell by the look on the doctor’s face that she was not about to receive good news. Wyatt’s scans lit up all over. 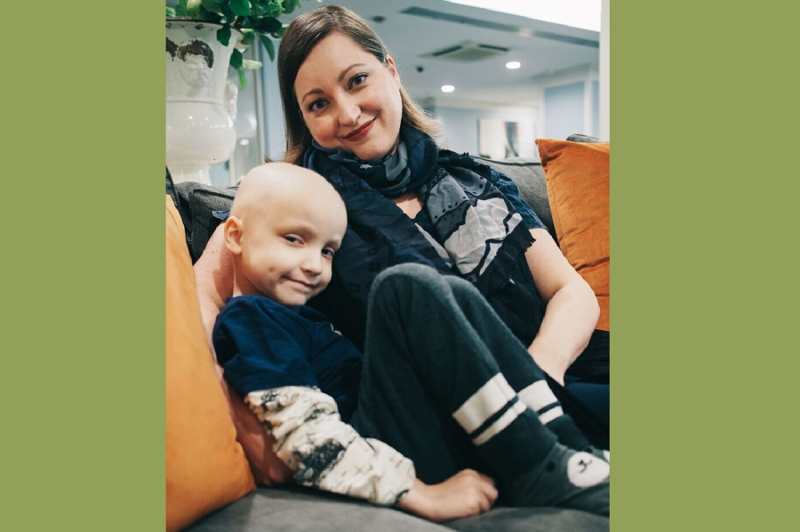 The final diagnosis: high risk neuroblastoma. Wyatt started treatment at the Memorial Sloan Kettering Cancer Center in New York, over a thousand miles from his home and his brothers. The weeks at a time away from home have not been easy on Whitney – she’s missed bedtimes and milestones of the other two boys while in New York getting treatment for Wyatt. Wyatt’s older brother Henry has had a particularly hard time watching his brother struggle. Whitney has navigated complicated health systems in an unfamiliar city and familiarized herself with doctor-speak so she can understand exactly what Wyatt needs. Through it all, Whitney says she’s just doing what any other parent would do for their child. On Wyatt’s bad days, he’s expressive about why he’s upset, and he understands more about cancer than any child should. Once, in frustration, he shouted, “Stupid cancer, why did my cells do the wrong thing! ?” But on Wyatt’s good days, he’s quite the jokester. Whitney remembers a time when a nurse asked Wyatt if she could get him anything, and he asked “Can you get me a beer?” just to hear her laugh. One of the treatments Wyatt is receiving is part of a clinical trial that was funded in part by parents of children with cancer. A group of parents, knowing the research may not move fast enough to ever help their own children, got together to raise $1 million to push this clinical trial forward. Stories like this, of people coming together to fill a gap and solve a problem, give Whitney hope. Right now, researchers are working towards better treatments and cures for kids like Wyatt. Your donation will help them get there.